Celebrating the 4th of July is one of the best days spent in summer. School is out, the weather is amazing and there is plenty of daylight to spend time outdoors! Of course, the best part of this day is the fireworks. If you are planning a 4th of July party this year, you may be looking for some ways to really make your bash stand out. If so, you’ve come to the right place! We’ll give you all sorts of party ideas, including food, drinks and decor to wow your guests. Here are our favorite 4th of July party ideas to ensure this year’s party is better than any others! 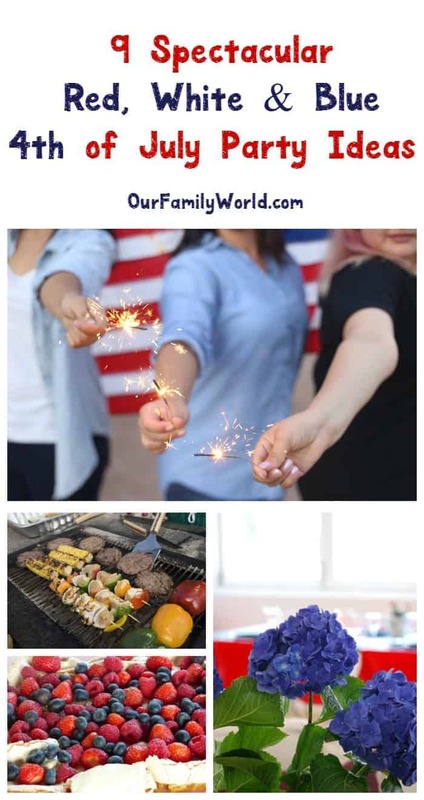 What are your favorite 4th of July party ideas? Share below! No party is a good party without food! Here are some food ideas to consider for your 4th of July party. Who doesn’t like BBQ on a hot summer day? Fire up the grill and get to cooking! A BBQ bar allows your guests to make their own BBQ-filled plate. You can grill mini hamburgers, mini cheeseburgers, hot dogs, pulled pork, pulled chicken, and so much more! Aside from the meats, don’t forget to provide rolls, buns and of course a selection of condiments! Make your 4th of July party extra sweet with a confetti cake topped with sparklers . Use the instructions on the box to create the cake batter. Add in a few tablespoons of sprinkles to color the cake. After baked, ice the cake and then add sprinkles around the entire cake. Add sparklers to the top and voila! 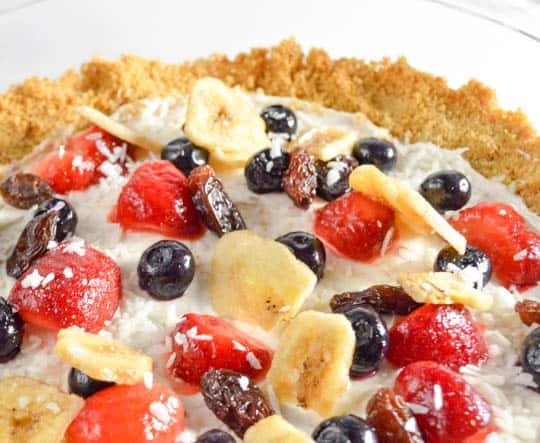 Take advantage all the tasty red and blue summer fruits and make a fruit pizza for dessert! It’s super easy to whip up, making it perfect for last-minute gatherings. 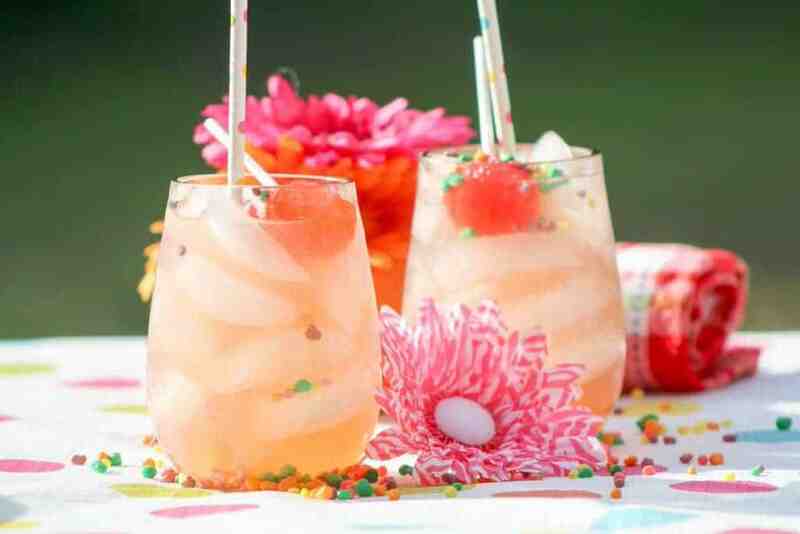 An outdoor party on a warm day means drinks will be much needed! Put strawberries and blueberries into an ice cube tray. Fill the tray with water and freeze. Mix lemonade mix, water, and seltzer water together in a pitcher. Add ice cubes to keep it cold! You can also add a little fun to it for kids by tossing in some Nerds candy, like we did in our tropical strawberry lemonade! 8. Red, white and blue flowers! 9. Use ribbon, twine, fabric and even scrapbook paper to create patriotic utensil holders that really stand out! As long as you incorporate plenty of red, white and blue into your 4th of July party, you really can’t go wrong! We love to throw our party during the day, then head over to the fireworks together at night. Sparkling berry lemonade looks delicious,thanks for all the tips ! This would all make a great party! I love the sound of the fruit pizza and sparkling lemonade. Getting ahead of the game is great! The fruit pizza and Sparkling berry lemonade sounds delish. Loving the ideas of decorated utensils holders. Very festive! This reminds me that I need to do some preparation for the fourth of July. Its always been one of my favorite holidays and I know my daughter loves everything to be spruced up for it. I have tried a berries fruit basket and it is really delicious! The blue berries are extremely delicious.